Longing for spring and all the beautiful flowers? If so why not add some flowers to your home with these beautiful handmade paper flowers that will last all year. From huge floral props to realistic looking flowers that you can place in vases around your home any of these DIY flowers can be made with paper. Make your own spider chrysanthemums by cutting several strips of cardstock that are 12 cm wide and cut evenly spaced slits with rounded edges every 1 cm. To form the chrysanthemums roll up all the strips and hold them together using floral wire. For full DIY details including how to create the stem and leaves visit Decora Recicla Imagina. Do you love rustic decor? 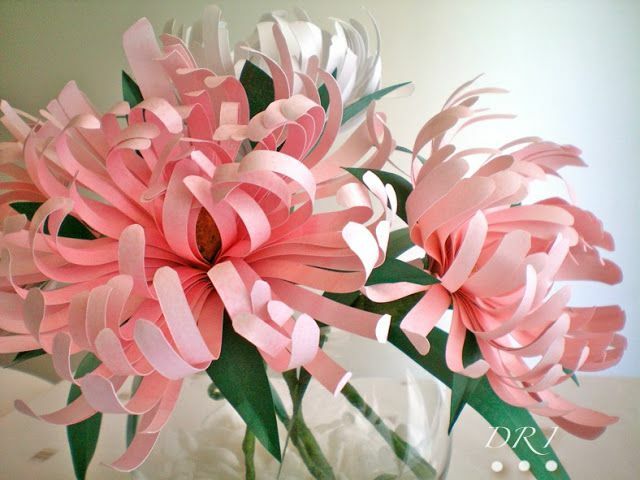 If so you will love this DIY paper bouquet which would be stunning for a wedding or placed in a vase as a centerpiece. To create your own rustic bouquet head over to Lia Griffith for the free template that you can cut using your Cricut to make your own bouquet filled with a variety of textures and colored plants including dahlia, ranunculus, Queen Anne's lace, hydrangea, eucalyptus, and succulents. If you are looking for a clever way to surprise that special someone in your life this DIY giant rose is sure to make them smile. Using crepe paper in your choice of color cut out 15 hearts which will become the petals for your rose that will wrap around each other. 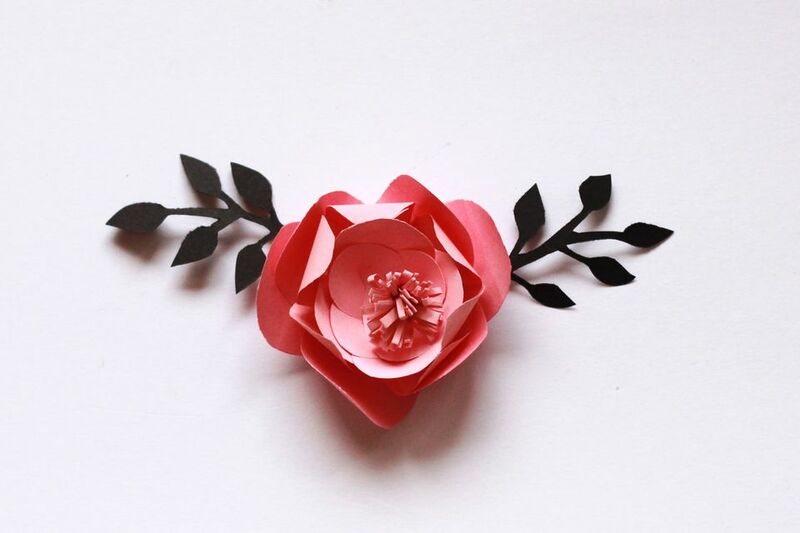 The full giant rose tutorial including useful templates can be found at Studio DIY. Assemble various colored DIY poppies in shades of red, yellow and pink to add a burst of color to any room. To make your own poppies roll up a small piece of yellow streamer with evenly cut slits for the center of the flower and place crepe paper petals around the streamer to form the flower. To learn how to attach the flower to a stem and to get the poppy petal template visit Urban Comfort. Make your own paper mums in minutes using the printable design by Elli that includes orange and purple mum outer and inner petals that you can cut out and glue together so that the inner petal ring is inside the outer one. To complete the look curl the petal edges and glue on the paper leaves in the template. Easy! Waiting for your orchid plant to bloom can take months, but this DIY paper orchid will bloom all year. Head over to Lia Griffith for the free template that you can print out and using floral wire attach to a willow branch. To complete the look stick the willow branch in a pot filled with floral foam and top the foam with decorative moss or stones. Make your own romantic bouquet of roses using coffee filters. Using acrylic paint the coffee filters your choice of color for the roses and once dried cut out scalloped petals from the coffee filters. To assemble the roses stick the bottom of the cut petals on a long strip of green painter's tape and roll up the tape to form a rose. To read the full tutorial on how to make a variety of coffee filter roses visit Aunt Peaches. Metallic Foiled Wall Art That is Easy, Easy Easy!